Blaze Ice who is currently level 56 just got unlocked Stormriven Hall!!! 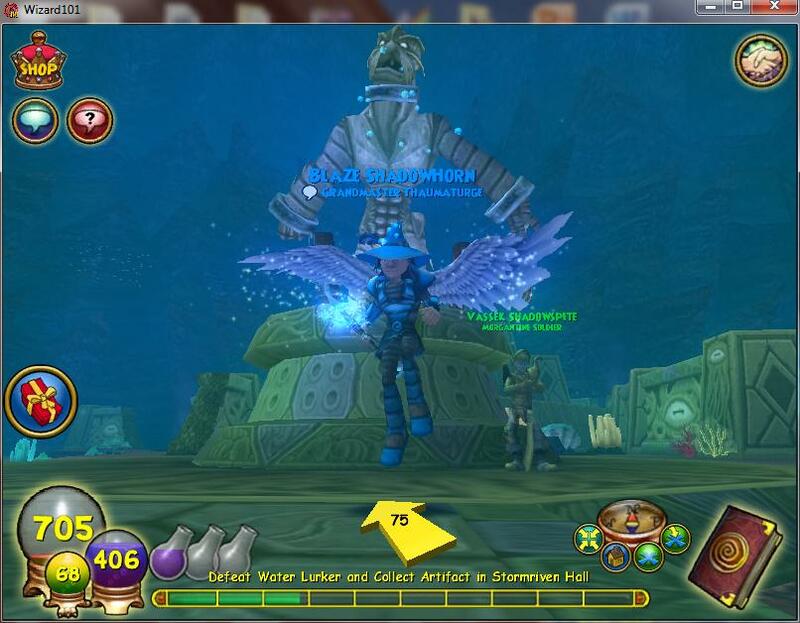 I like the cool kraken statue at the entrance. Look!!! Isn't it cool!!! Hi there, I don't know if giving quest advice is something you are interested in doing, but I am going to ask. :D I have been stuck w/only one quest for 2 weeks and I cannot even locate Stormriven Hall. Obviously missing something. I can get to the lever in the Piscean Guard room, but cannot pull it. Any ideas? Sorry this is 2 months late lol but yea I will start giving quest advice. 1. When your in stormriven, go to the far left of Leland Hawkins (past the tent) and go down the ramp. 2. go all the way to the end past the spare parts and into the tunnel with the weird writing in it. 3. when you come out of the tunnel, there will be monsters. Go all the way around the monsters (in the water) going to the door at the top left. 4. Once your in the room, (it is a brown room with monsters and a portal piece) go on the left hand side to the next door. 5. Once your in the "Ossuary" go on the right-hand side and go to the big wide opening. 6. Now if you did this correctly you should see a glow behind the monsters. 7. Go around the monsters and go to the glow. 8. When your at the glow, it should say "Stormriven Hall" then it says "Click x to dive in"